My good friend, Denise Marie over @ CHRIST IS THE HEART OF CHRISTMAS has decided to host a new Blog Party called Christmas Collector's Alley!! This party will start in September and will run monthly then weekly in December. Please join in and share with us all of the great Christmas treasures you love to collect and display in your home during the holiday season!! 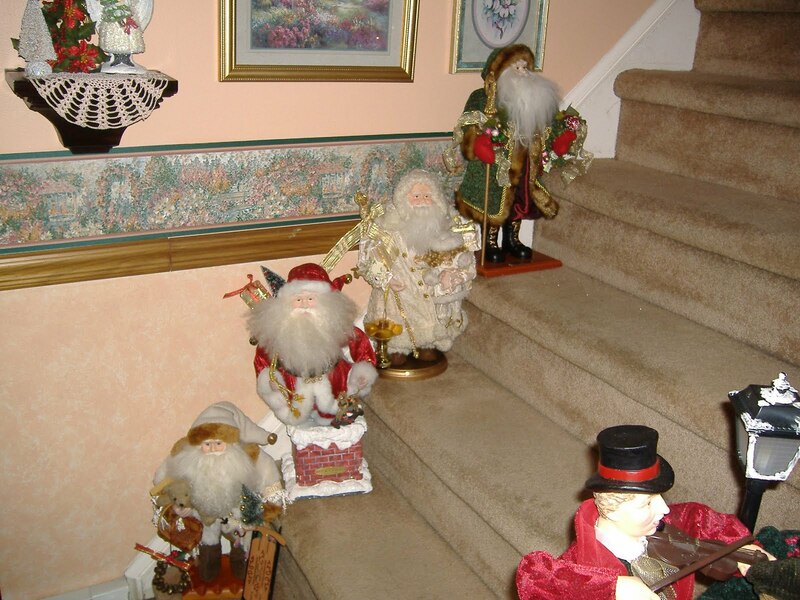 These are some of my many Old World Santa's!! I will be showing you the rest when the Christmas Collector's Alley Blog Party is up and running!! Now won't this be great fun!! Visit Denise Marie, grab her button to display on your blog to spread the word! !